No need to wait in line when you join a professional host for a Vegas club crawl. Enjoy expedited entry into the hottest bars and clubs on the Strip. Board the ultimate Vegas party bus and head right past the velvet ropes to the hottest nightclubs. 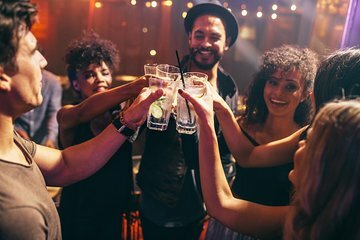 Save money on drinks and skip the cover charges to get straight to the party.